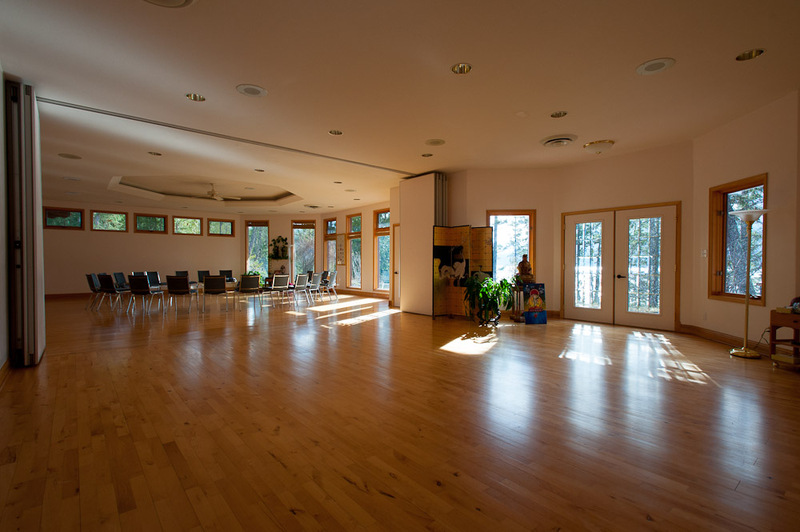 Yasodhara Ashram is a unique setting for your next group retreat or gathering. 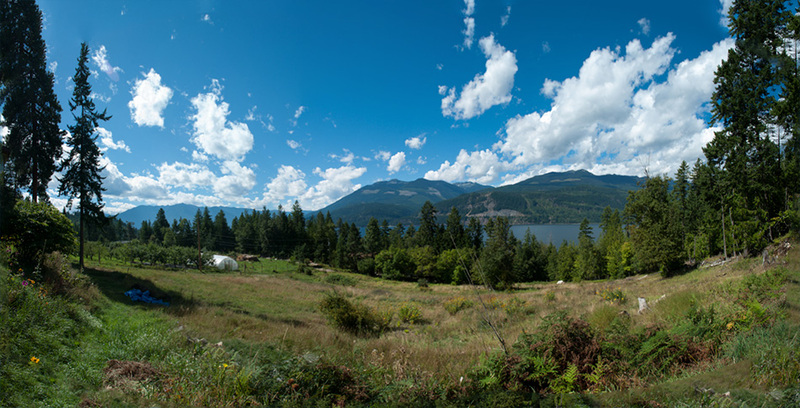 Spacious, light-filled classrooms and sacred spaces combine with the incredible natural beauty of our land. Create a meaningful space for renewal, conversation, celebration and change. For a one-time group rental, we can welcome up to 120 guests. *Limited availability for overnight events in July and August. 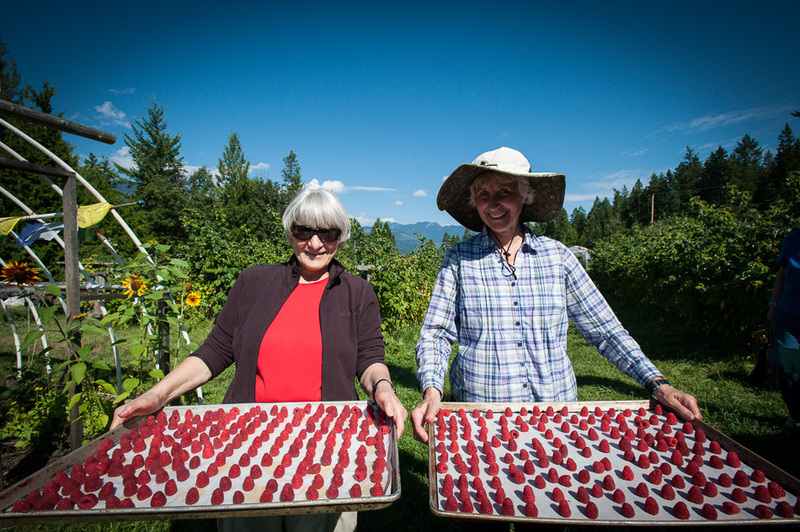 Our little group enjoys coming to Yasodhara Ashram for a day’s retreat because it is such a welcoming, healing place. The deep sense of the sacred is powerful no matter what your faith background. Martha Fish of the Trail Christian Meditation Group. 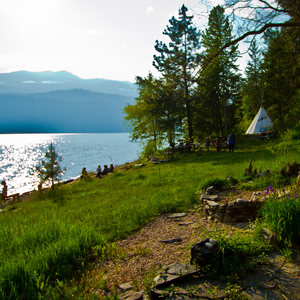 Read more about what others have to say about hosting events at Yasodhara Ashram. 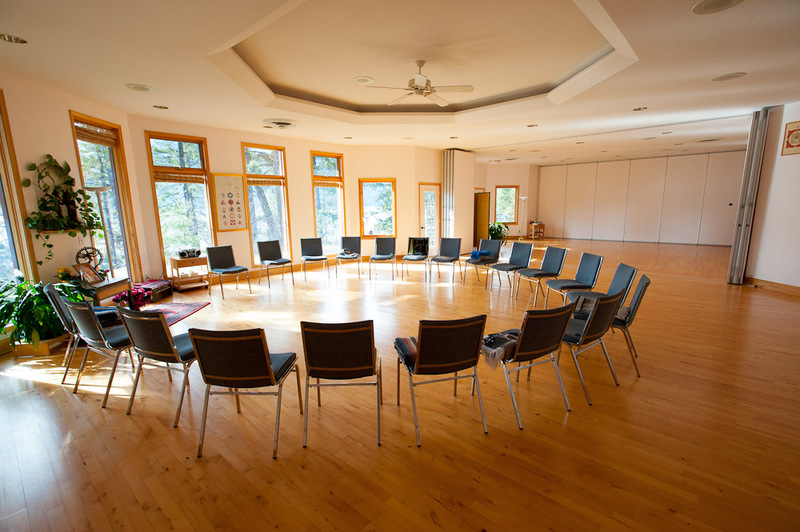 There are a variety of spaces for your group to gather together – from large classrooms to intimate meeting rooms to our meditation rooms. 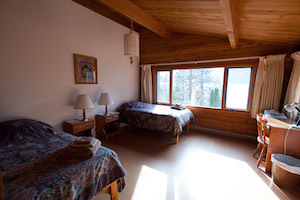 Radha Room – is our main classroom, with bamboo flooring, a wall of windows facing Kootenay lake, sound system, central location. 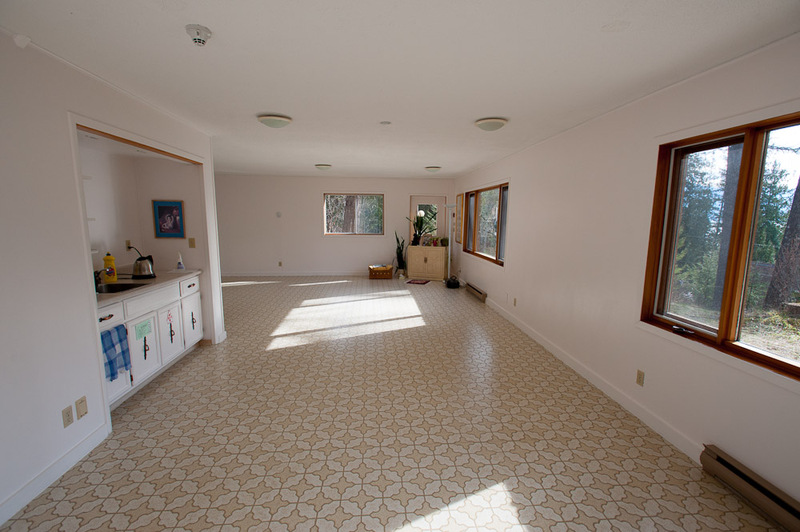 Crane Room – next door to the Radha Room, slightly smaller space, bamboo floor, natural light. 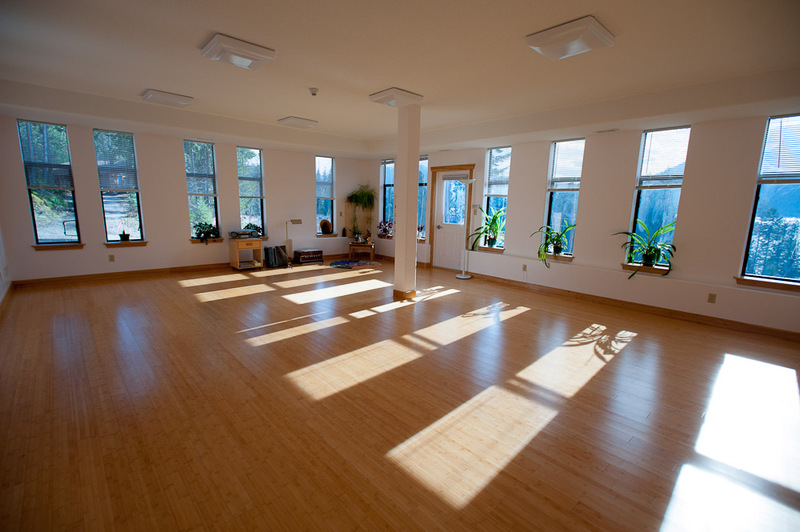 Radha/Crane – for even larger events, the two rooms open up into one beautiful space. Barn – our refurbished eco-barn includes a spacious classroom overlooking our gardens and lower pasture and stunning view of the mountains. 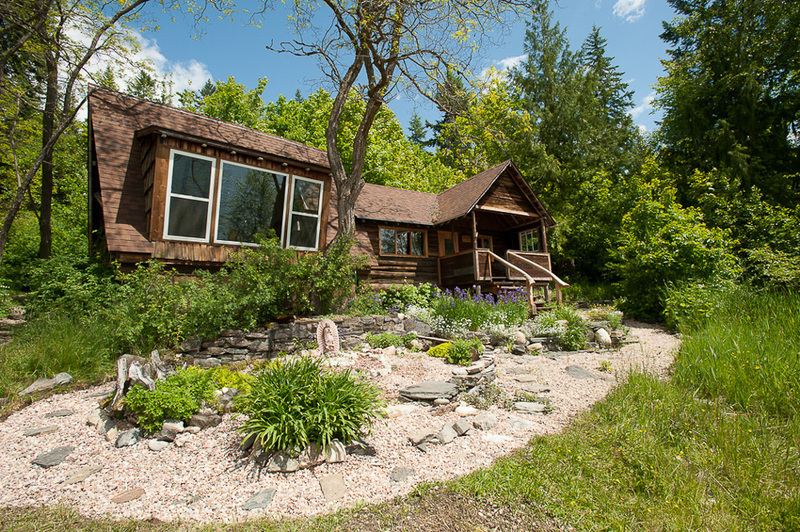 Saraswati Lodge – our original cedar lodge, with a quiet L-shaped classroom nestled in the trees. 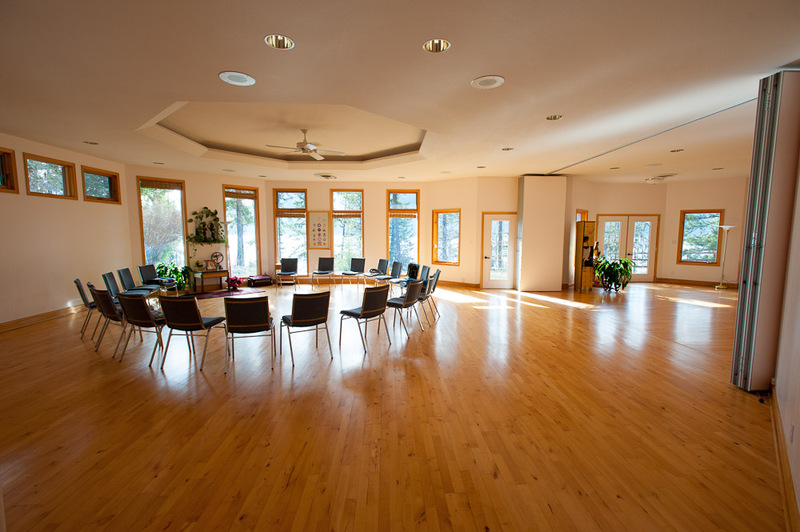 Break out spaces – many nooks and smaller rooms to hold breakout meetings or smaller group conversations: Buddha Study, dining room, library, atrium. Outdoors – weather dependent, there are decks, gardens, picnic tables and beaches to meet while enjoying the fresh air. Beach Prayer Room – quiet meditation prayer room on the beach. 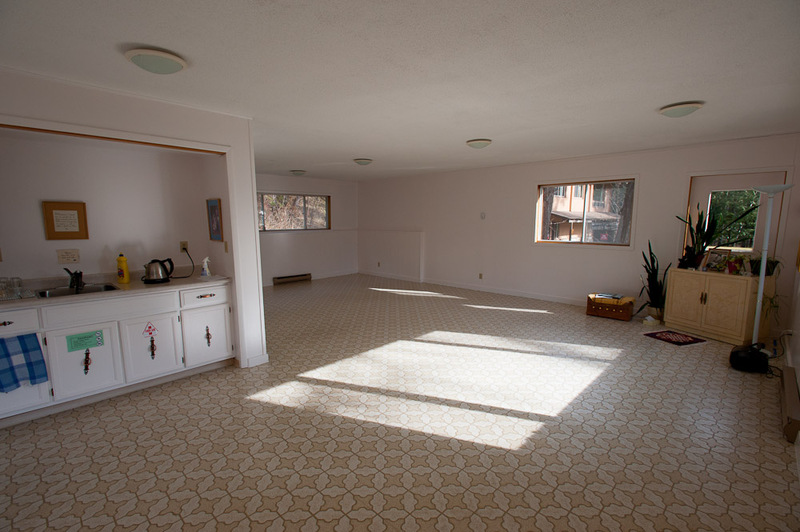 Divine Mother Prayer Room – our meditation/prayer room dedicated to the Divine Feminine. 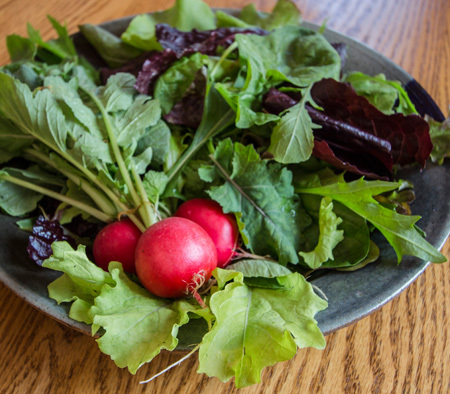 With simple, comfortable accommodations and wholesome organic food, all of your basic needs will be taken care of during your stay. We have two primary guest lodges – The Barn and Saraswati Lodge – plus a number of smaller retreat residences and dorm spaces available for booking. 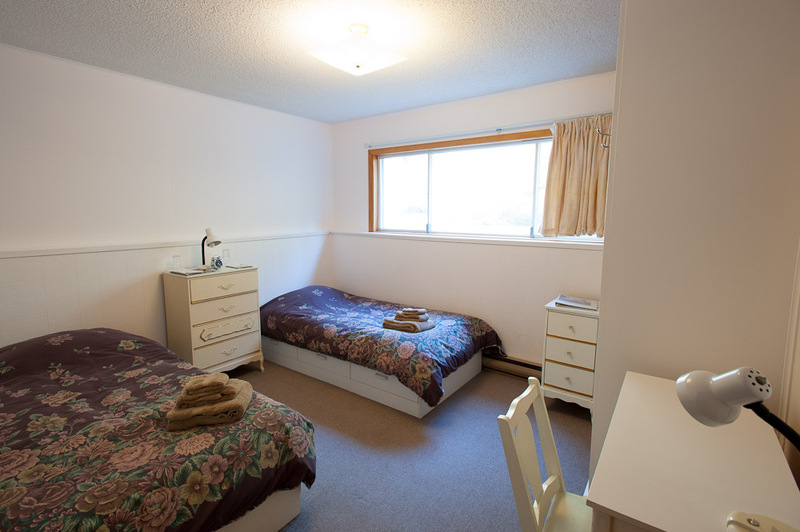 Most accommodations have shared bathrooms, laundry facilities and common spaces. 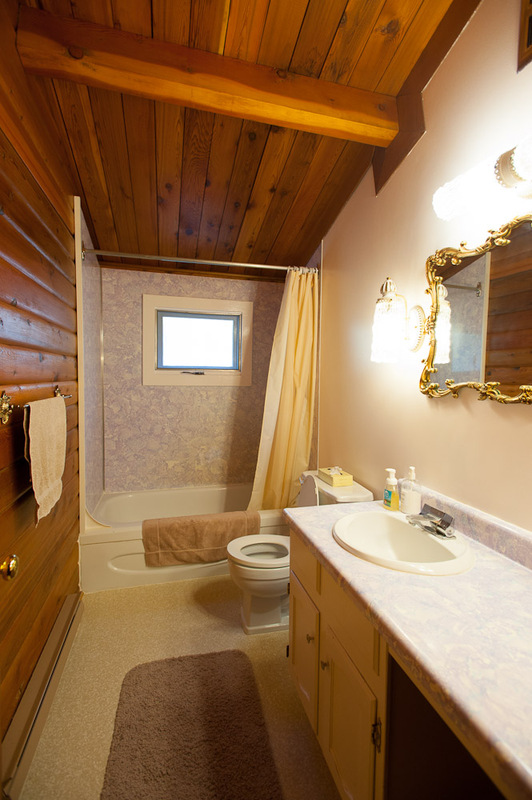 There are a few rooms with private washrooms available. We have limited rooms available for those with mobility issues. Please contact us if someone in your group has special accommodation needs. snacks or special treats can be arranged in advance, catered from our kitchen or from a local caterer. Please see more information for those with special dietary needs or allergies. With a bookstore, library, numerous mountain trails, beaches and gardens, the Ashram has much to offer. Read more about our amenities here. Our resident yoga teachers can lead your group in any of our main yoga practices, including Hatha Yoga, Dream Yoga, Sacred Dance or Mantra. Book an hour during the day, or take a different class each day to enrich your experience together. Read more about Yasodhara Yoga practices here. Karma Yoga is the yoga of action and service. This is a profound practice to examine your attitudes towards work, and a way to deepen your understanding about yourself and others. Karma Yoga is marked by willingness, care, consideration and cooperation. By spiritualizing our work, we can lift any task from the menial to the meaningful. 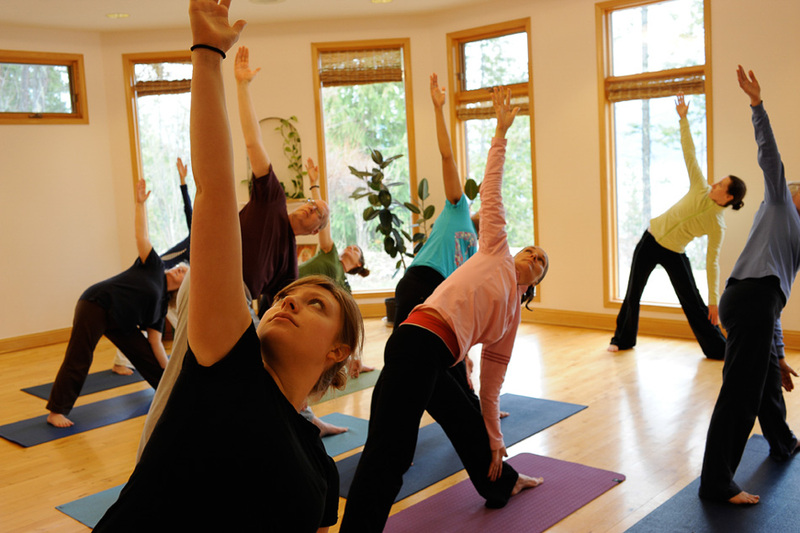 Experience Karma Yoga and be a part of our working community for an hour or more a day. help you design and facilitate your meeting, workshop or group gathering. facilitate what you have already planned. Price is dependent on need. Contact us for more information. 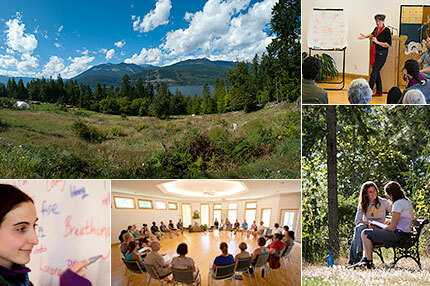 Includes 3 meals, accommodation, classroom rental, satsang, tour and event liaison. $25 – $45 per hour, depending on meeting space. Contact us for daily rates. 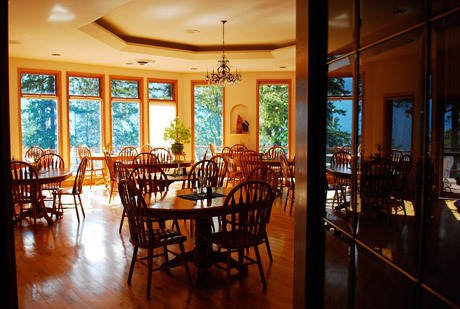 For local East Shore groups and organizations, we offer our meeting spaces for free. Please call to arrange. A short day program including yoga class, lunch and tour. 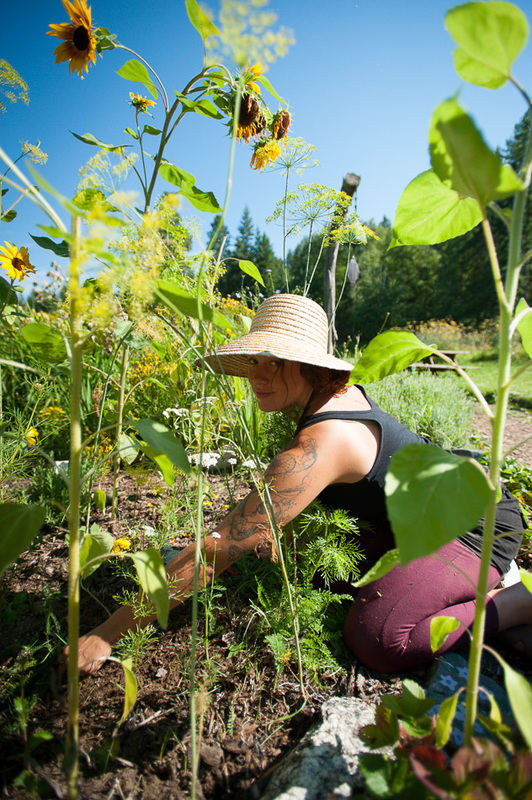 Bring your group for a short day program and enjoy a yoga class, lunch and tour of the grounds including an overview of our environmental initiatives and gardens. Come for a tour of our award-winning green community and witness what we are doing to become truly sustainable for generations to come. 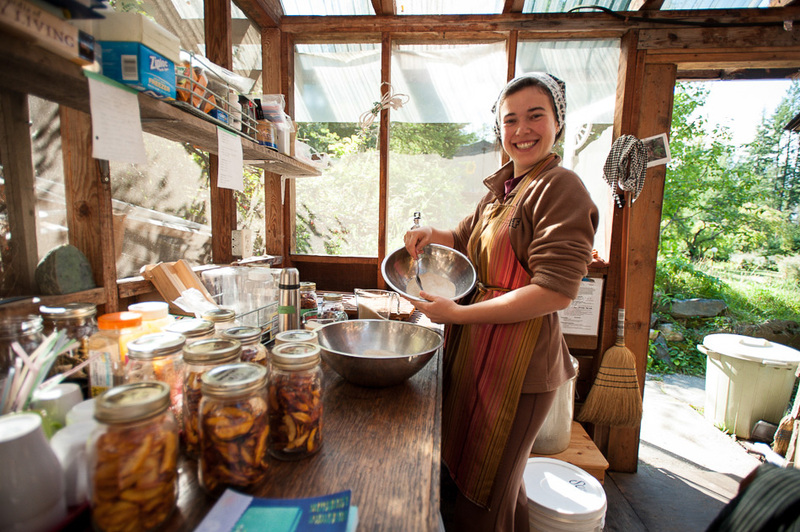 Experience life in a spiritual community for a day. 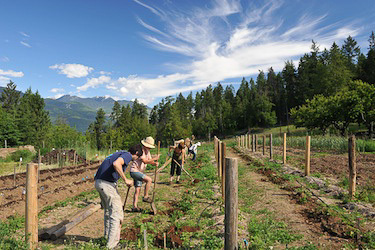 Participate in Karma Yoga, helping out in the garden, grounds or other interesting projects. Groups also have a short yoga class to complete the day. You have the option to bring your own lunch and snacks, or join us for lunch for $12 per person. 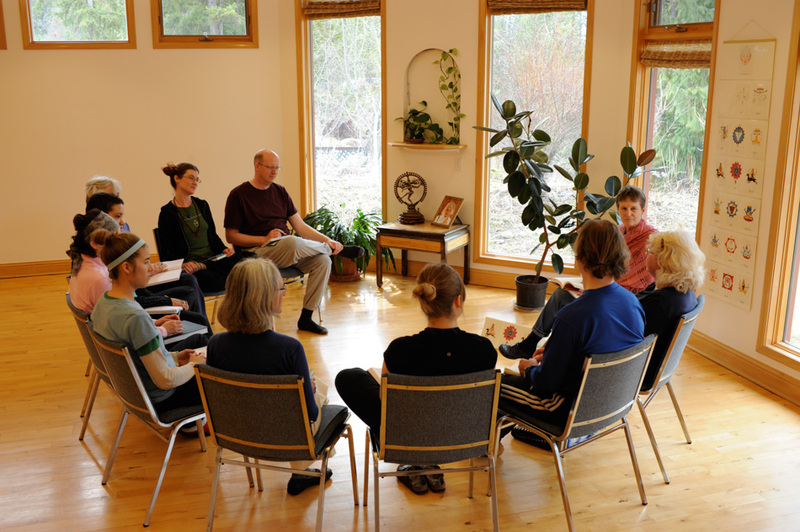 For groups from the local Kootenay East Shore Region, the Ashram is happy to offer our meeting facilities for meetings as a free community service. Please call us to arrange. Dependent on availability. Catering or lunch fees apply if needed.